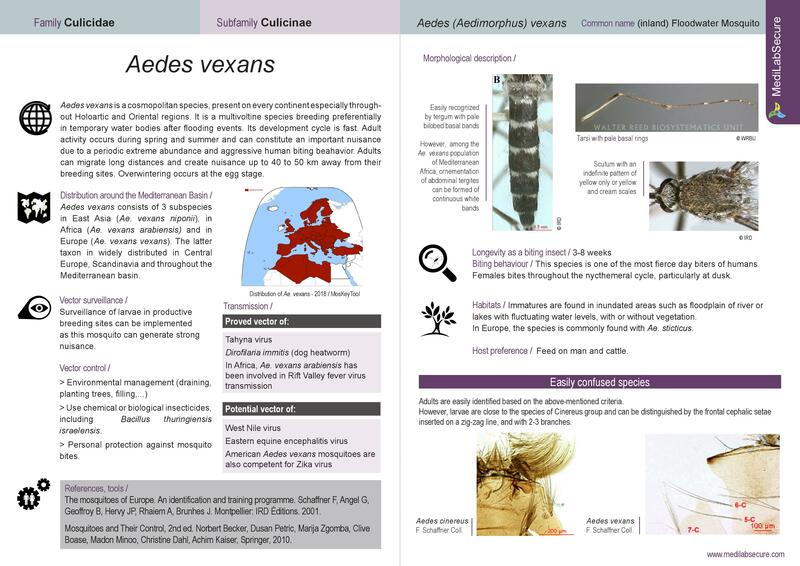 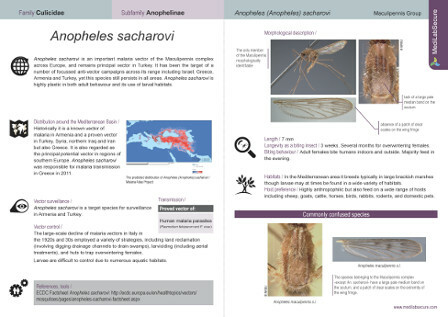 As a follow-up to the Medical Entomology training sessions, a new on-line activity has been devised within MediLabSecure. 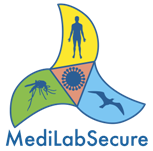 As set of pictures from different mosquitos has been prepared and proposed to the MediLabSecure network members - and beyond- for identification. 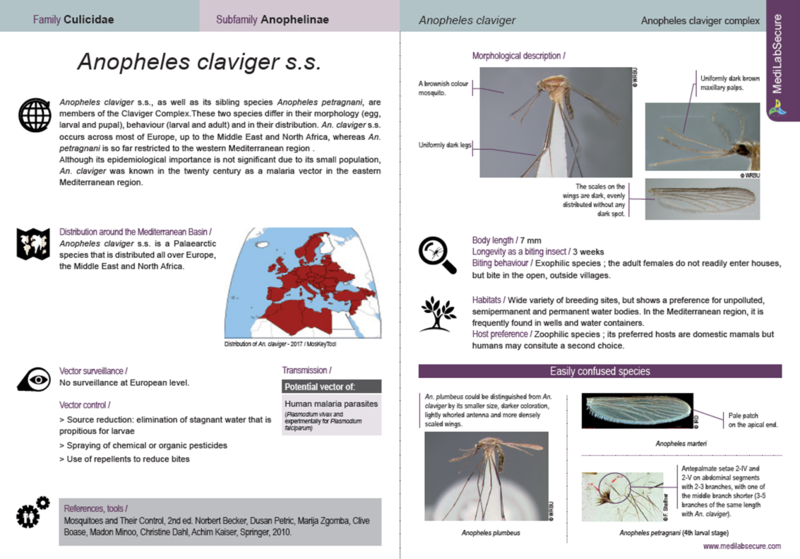 Every 2 months, an unknown mosquito picture is proposed for identification. 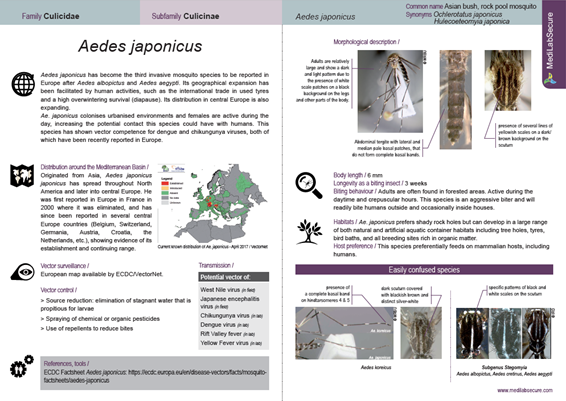 A couple of days are provided to submit responses through an on-line questionnaire. 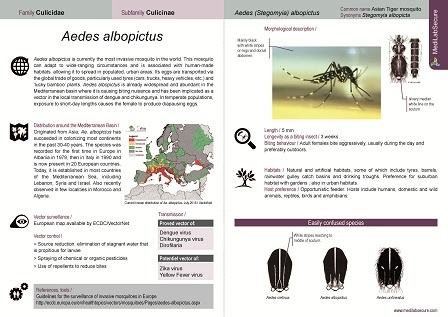 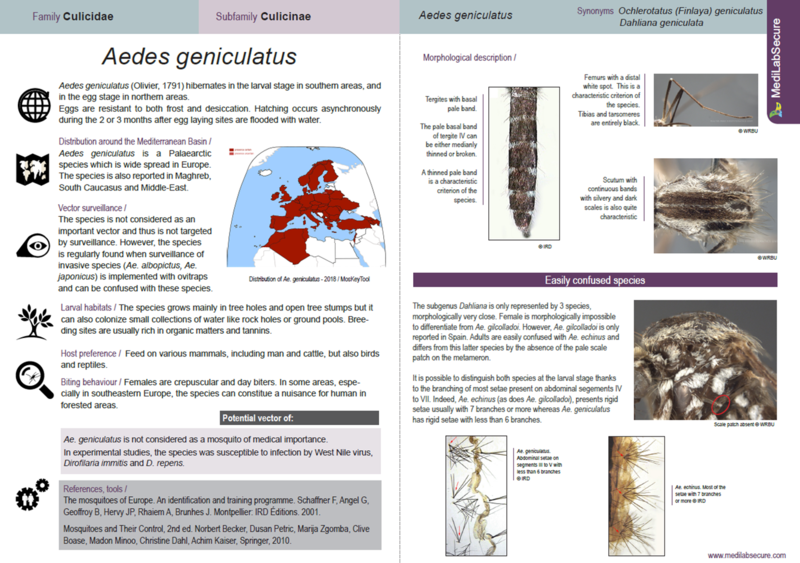 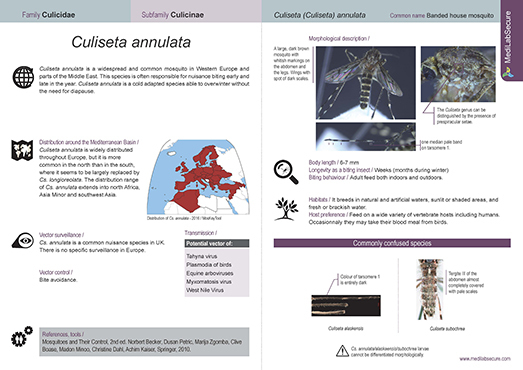 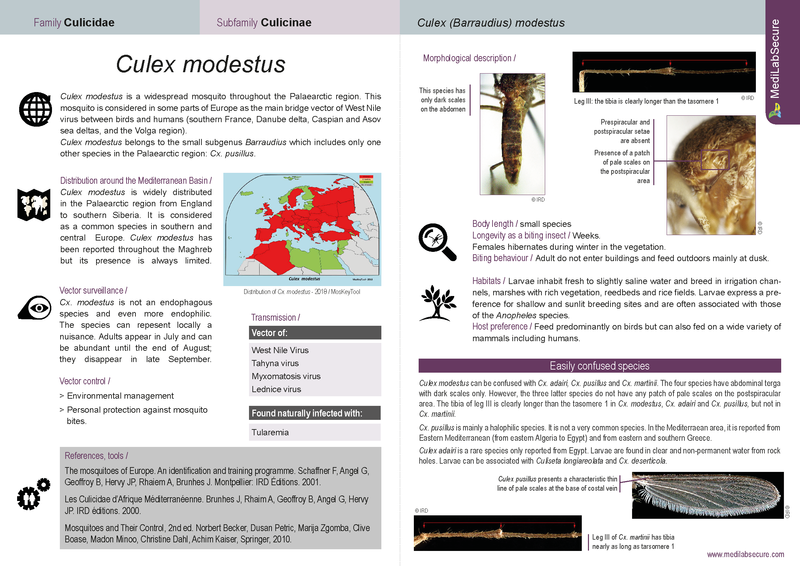 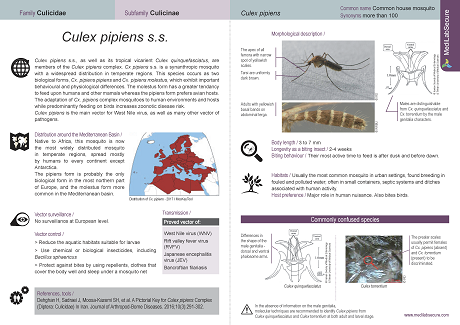 The results are analyzed and reported to participants the following month, accompanied by a mosquito fact-sheet focusing on the characteristics of the given species, its geographical distribution, the species not to be confused with, etc.